We went to Paris for a few days last summer and had an amazing time. The weather in Paris in August is beautiful. We stayed in a nice hotel in the Saint-Germain-des-Prés area, walking distance from the Louvre, Eiffel Tower and wonderful cafes. The cuisine was one of the highlights of the trip for us. The baguettes, cheese, crepes and pastries were great. 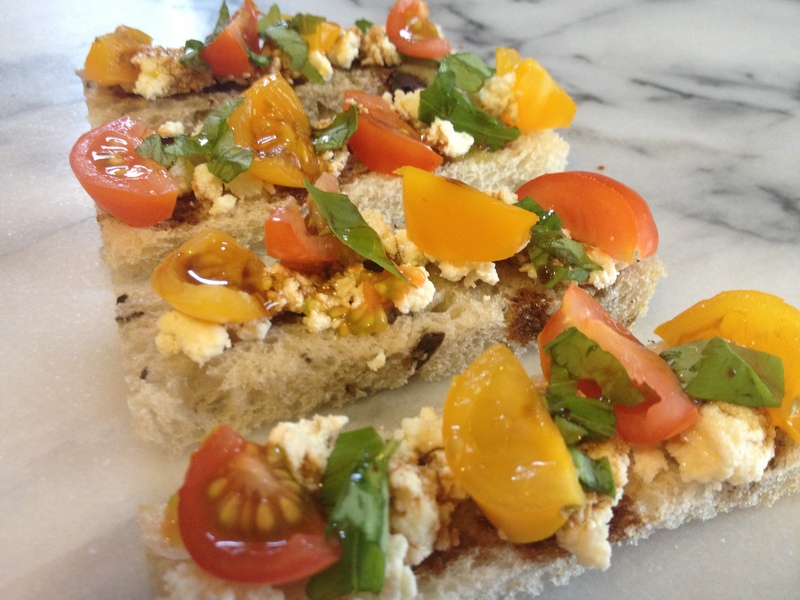 With tartines, you get an unobstructed view of the appetizing toppings. The flavor really comes out as well when you have less bread to deal with. 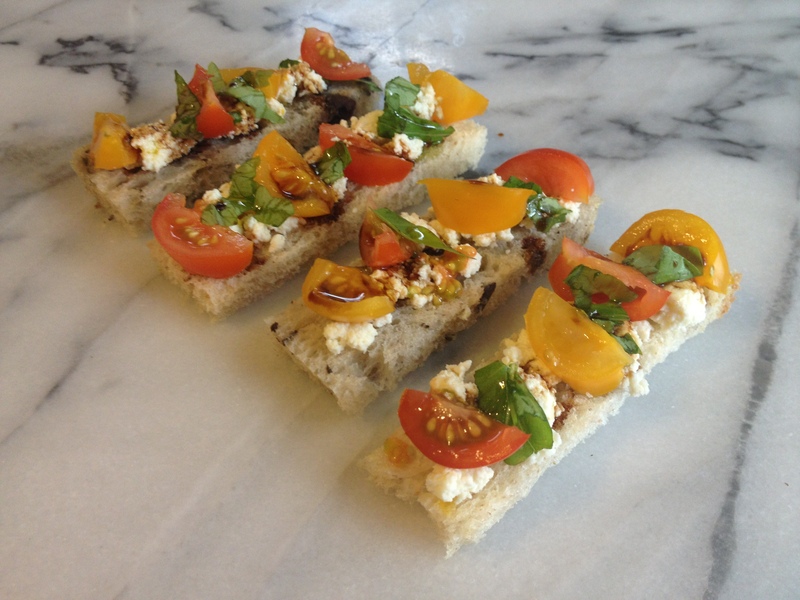 Here is a recipe for a tartine with homemade ricotta cheese topped with multi-color cherry tomatoes, fresh basil, extra virgin olive oil and balsamic vinegar. 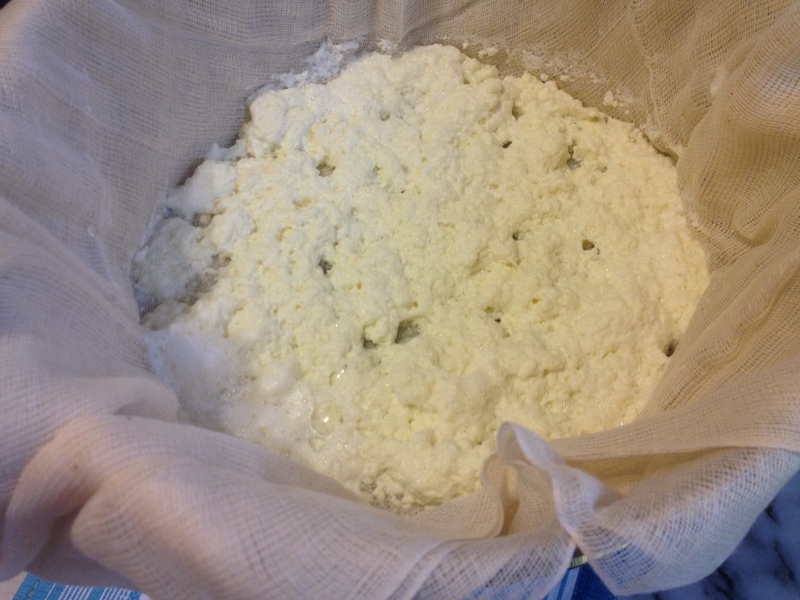 It’s actually very easy to make cheese at home. 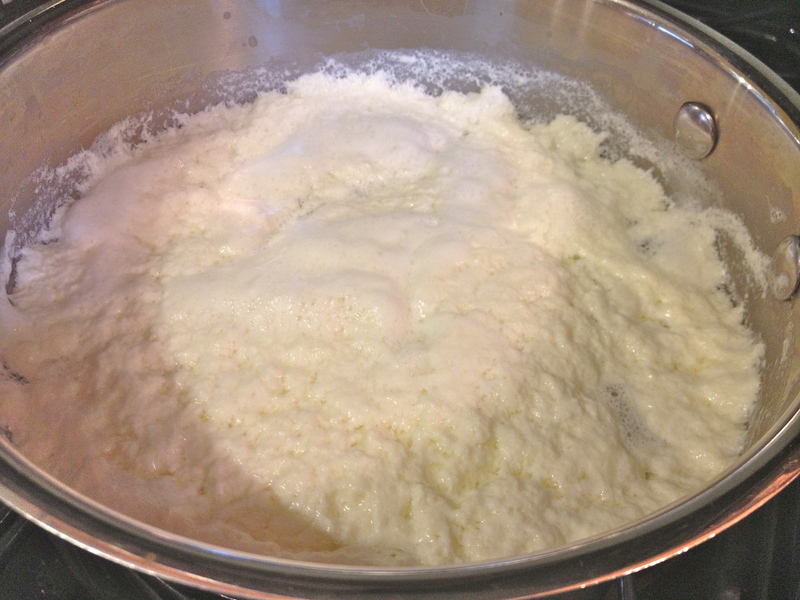 For those of you used to making “paneer” (a common cheese in India), this should be a mostly familiar recipe. 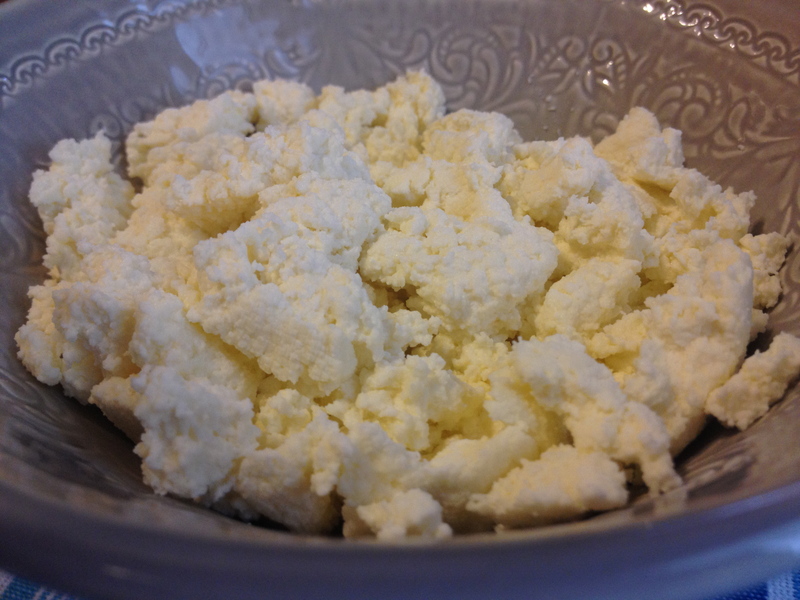 Ricotta, unlike paneer, is kept looser and more moist. I also add salt to the milk when making it, unlike paneer. 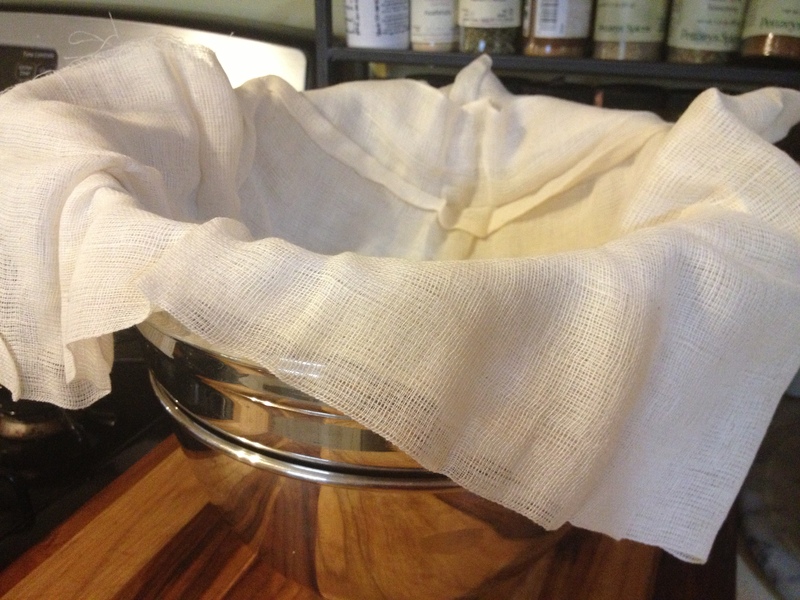 Line a colander, set over a pot, with cheesecloth. Set aside. 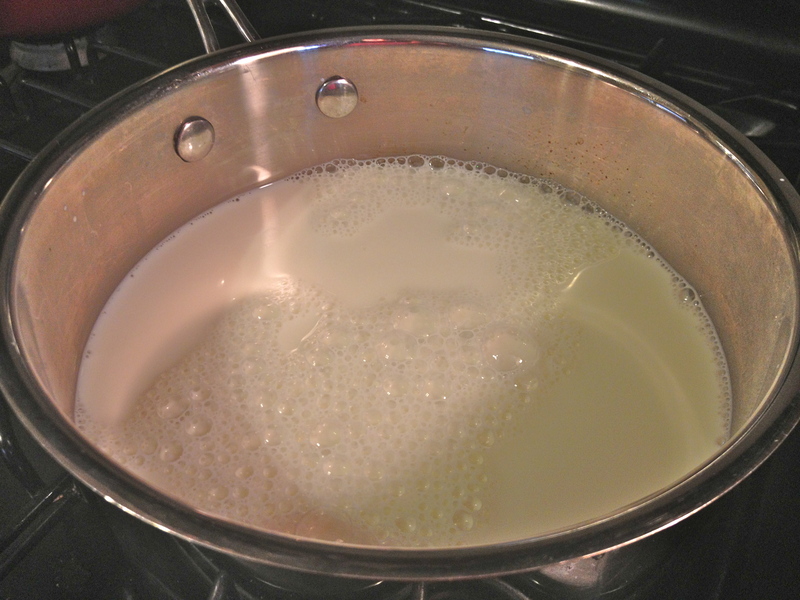 Add the milk and salt to a heavy saucepan. Heat the milk to almost a boil. 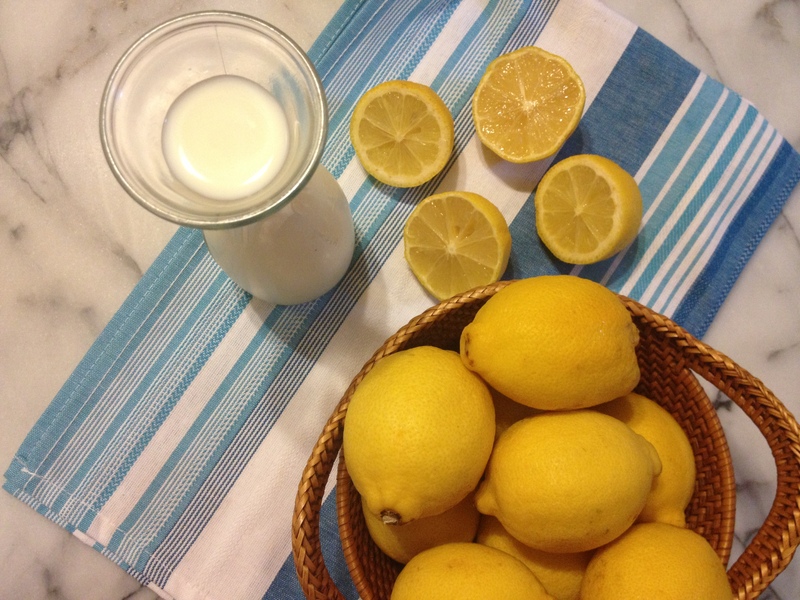 Turn the heat off and add the lemon juice. Let it rest for a few minutes as the cheese forms. Pour the contents into the colander lined with cheesecloth. Put the cheese in a bowl. Season as desired. Salt & pepper work well with the tartine recipe below. For the tartines, use your favorite fresh loaf of bread. I used both a fresh from the bakery whole wheat loaf as well as some bread baked with kalamata olives. I took a few slices and cut off the crusts. Then cut the slices into long rectangles. You can just keep the bread slice uncut, with crusts if you prefer. Put the slices in the plate/tray you are using to serve them. Sprinkle the ricotta cheese on top. 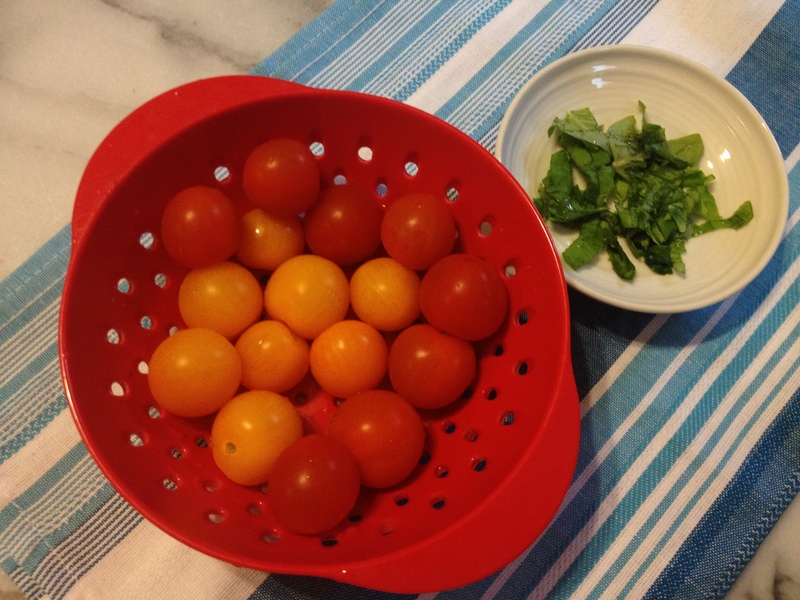 Add quartered cherry tomatoes and shredded basil. Drizzle on extra virgin olive oil followed by balsamic vinegar. I love tartines, so expect many more tartine recipes in the future!